Jack Wilshere has accepted an FA misconduct charge for offensive chants about Tottenham Hotspur fans. The Gunners midfielder led fans in three chants which mocked rival north London club fans during Arsenal’s FA Cup victory parade. He later apologised and was spoken to by club staff. The FA said in a statement: “Arsenal’s Jack Wilshere has been fined £40,000 and severely warned as to his future conduct after admitting to a charge of misconduct. 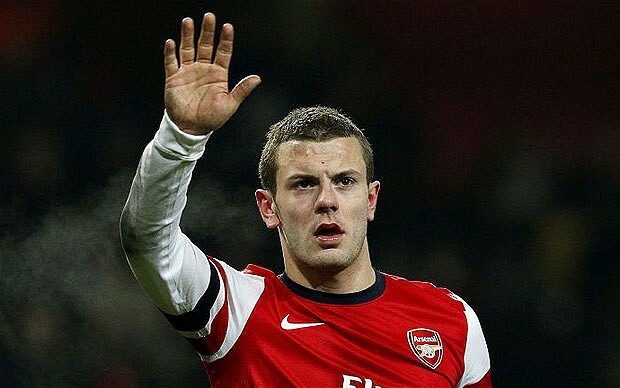 Jack Wilshere Has Apologised for His Offensive Chant About Spurs Fans. Image: GETTY. Arsenal defeated Aston Villa 4-0 at Wembley to secure a record 12th FA Cup triumph last month. Abramovich Run Things: Chelsea Agrees £30m Fee For Spurs Hopeful Willian.